Ivor Tossell published The Gift of Ford, an ebook, in 2012. Robyn Doolittle could not sleep the night before the Toronto Star broke the story about what happened at the Garrison Ball. Not that she was too busy; the article had already been put to bed. “It was like, oh my God, we’re running this story that says the mayor of Toronto has an issue with alcohol. This is going to be nuts,” she says. She found herself at home rereading the piece in her head over and over, wondering what the blowback would be. 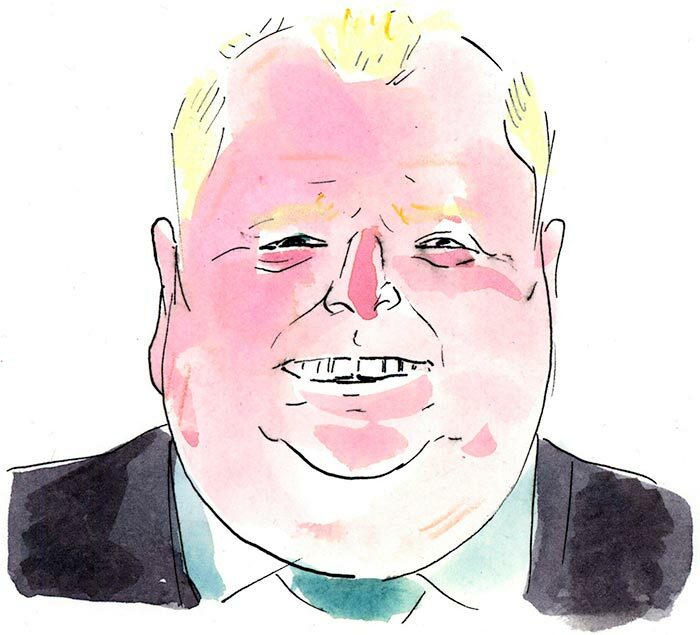 Hardly anyone in Toronto knew it at the time, but a month earlier Mayor Rob Ford had turned up, visibly under the influence of who knows what, at a charity ball for injured veterans. The spectacle of the mayor intoxicated on the job would have been newsworthy on its own, but it gave Doolittle’s newspaper, the Star, an opening to tell a much bigger story—a story the reporter, a twenty-nine-year-old part-time competitive figure skater, had been chasing for a year. 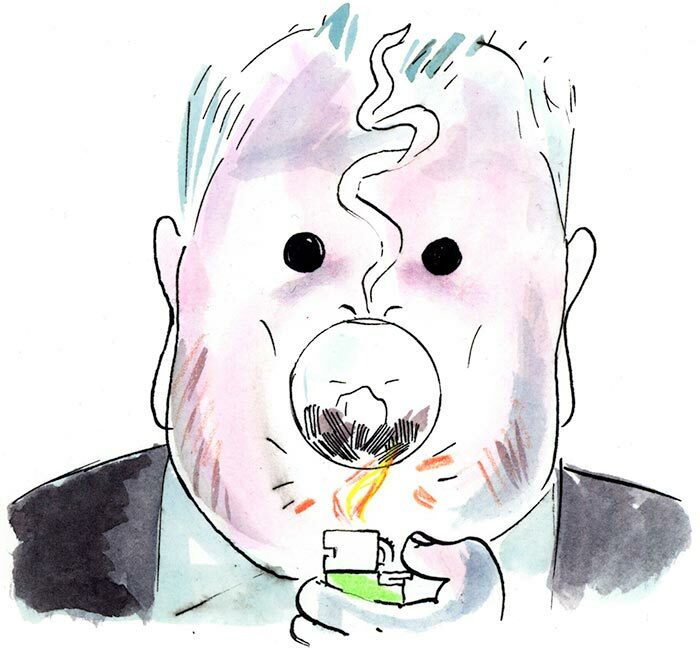 The Garrison Ball incident was no aberration; Toronto’s mayor had a substance abuse problem. The revelation would light a fuse under the biggest scandal in the city’s history, and the mayor’s office knew it was coming. “My personal rule is that no one’s surprised at what goes in the paper the next day,” she explains. Officially, Ford’s staffers refused to talk to the Star about anything, but she kept in touch with them through back channels, pinging texts and Twitter messages back and forth. The newspaper gave Ford’s people one last chance to comment before the story ran. They declined. The Star published the story on Tuesday, March 26, 2013. The response, the same day, came like a freight train. As it happened, Ford was scheduled to present a key to the city to an old family friend, the boxer George Chuvalo. A Canadian heavyweight champion in the 1960s and ’70s, he had lived a life marked by drugs and tragedy. He had lost three sons to drug addiction, and a wife to suicide. A forest of shoulder-mounted TV cameras jostled for position under the yawning dome of Toronto’s city council chamber; younger reporters crawled through them and sat cross legged on the floor at the cameramen’s feet. As soon as the presentation ended, a reporter asked the mayor about the story. We now know Rob Ford was lying and the Toronto Star was not. Later, stories would reveal his association with gang members (one of whom would be murdered) and a video of the mayor purportedly smoking crack cocaine. He would be investigated by his own police force, which even resorted to following him around the city in a rented plane. On that Tuesday in March, however, none of this was yet a matter of public record. It was the mayor’s word against the Star’s reporting—and the Star’s reporting relied heavily on anonymous sources who would not or could not publicly lend their names to it. The journalists say they were just doing their jobs, but the lawyers who defend them when lawsuits materialize say that until recently being a good journalist was not enough. 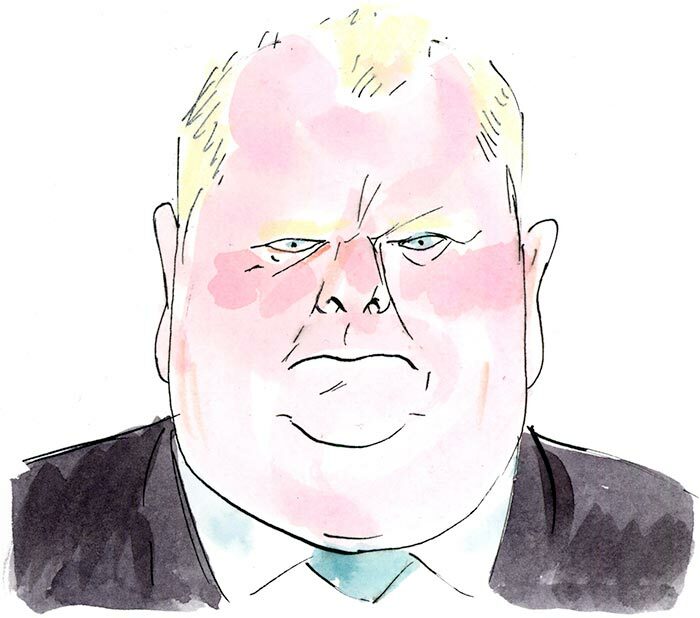 In 2009, the practices that enabled the telling of the Rob Ford story were written into Canadian law, and the change—a new defence for libel—came as no accident. Rather, it represented the culmination of decades-long hard work by a group of lawyers who felt that up until then Canadian libel law had been more intent on protecting reputations than on fostering debate. In concept, defamation is pretty simple: any public communication that damages someone’s reputation. Anyone can launch a suit, and in Canada the defendant is in effect guilty until proven innocent; the law requires the person being sued to prove that what he or she said or wrote was defensible. (It is the other way around in the United States, where a public plaintiff must prove that the defendant knowingly and recklessly said or wrote something false.) Defamation suits can be gruelling, exposing defendants to months of stress: hostile questioning in the pretrial discovery process (more later about that) and cross-examination under oath during trial. And they’re expensive—especially if you lose. Bill Schiller knows this first-hand. Over his twenty-nine-year career at the Toronto Star, he spent fifteen years in foreign postings. But during a stint in Toronto in 2001, he wrote an article about a golf course that would result in a defamation award of $1.4 million and change the ground rules for journalism in Canada. Yet that’s what happened. In New Liskeard, Ontario, a wealthy friend and financial supporter of then premier Mike Harris wanted to add six holes to his private three-hole golf course. His neighbours were concerned about the environmental impact, and as the project came up for review they worried that it might be a done deal. By chance, Schiller had written a story about a similar controversy in nearby North Bay, and when it came to the attention of the course expansion’s opponents in New Liskeard they got in touch. “So I hopped in the car and went up there,” he says. When he arrived, he called Peter Grant, the golf course owner. Grant wouldn’t speak to him, although Schiller kept trying. Before returning to Toronto, he interviewed Grant’s neighbours and surveyed as best he could the proposed site. He worked on the story for six months, off and on, gathering documents that included provincial campaign contribution forms. On June 23, the day it was published on the Star’s front page, a public meeting took place in New Liskeard, and Schiller drove up to attend. He was about to ask a question of Grant’s planner when, as he remembers it, “a face comes between us, that of Mr. Grant’s lawyer, who says, ‘You won’t be talking to him. You won’t be talking to anyone.’” It turned out that Grant had taken exception to the insinuation that his project was a fait accompli. In other words, the fix was in, and he was in some way exercising corrupt influence. So began the defamation suit. Notice was served, and when the Star refused to back down during the three-day window Ontario law allows for retractions and apologies, the suit moved ahead. Schiller was hauled into discoveries, in which the defendant and his lawyer were grilled under oath by the plaintiff’s lawyers on every aspect of the reporting. He had to turn over his notebooks and answer questions about what he meant by every squiggle, and he entered more than 185 exhibits into evidence. The process, held in Toronto, went on for three and a half days. Then came the trial in Haileybury, Ontario. Once again, Schiller had to defend himself, this time before a jury. It went poorly. The judge ruled that the only defence the jury could afford him was fair comment, in which an opinion must still be grounded in known, provable facts. (There is no “get out of lawsuit free” card for opinions in Canada.) The jury decided against him. After the judgment was handed down, he and his lawyer, Paul Schabas, repaired to the bar at their hotel. Finding themselves on the losing end of a $1.4-million decision may not have been the outcome they had hoped for, but they also knew that the verdict presented the opportunity the country’s media lawyers had been waiting for. Cooke has been at the Star’s helm since 2009, after a decade in the US, including a stint as editor-in-chief of the Chicago Sun-Times. His office is a monument to the idea of news with a capital N, rendered in rows of black and white photos: Obama, Gretzky, the Trudeaus (elder and younger), Mandela, Conrad Black. 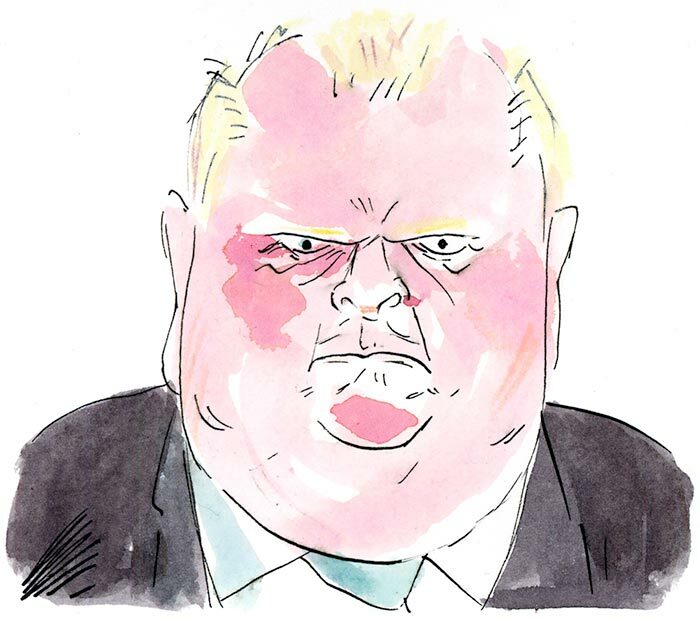 Yet even for Cooke, the Star’s public feud with Ford, whom he doesn’t seem to like, stands out as a defining moment. It began during the mayor’s election campaign, when the newspaper ran an article citing two sources as saying he “aggressively manhandled” a high school football player before stepping down as the team’s coach. The student was not quoted. Ford served the Star with notice of libel, demanding an apology. When the newspaper refused, Ford’s campaign spokesperson, Adrienne Batra, went on a mission to find the student, who said he didn’t like Ford but denied any physical abuse. 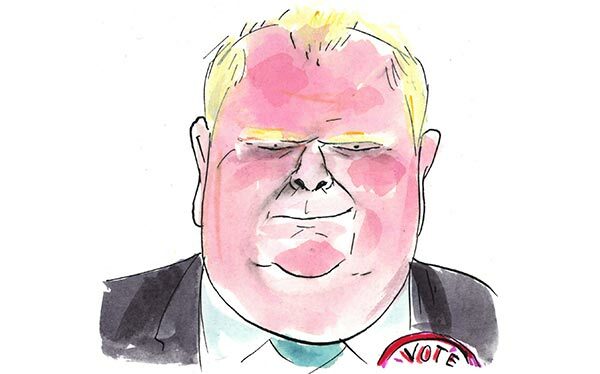 Ford’s team saw an opportunity to turn the Star from a critic into a political opponent. “As everyone knows,” says Batra, “in politics you need an enemy,” and the Star was happy to oblige. Over the course of three years, a remarkable confrontation emerged between the city’s mayor and its largest newspaper, whose columnists and editorialists pitted themselves against him on policy and scandal alike. 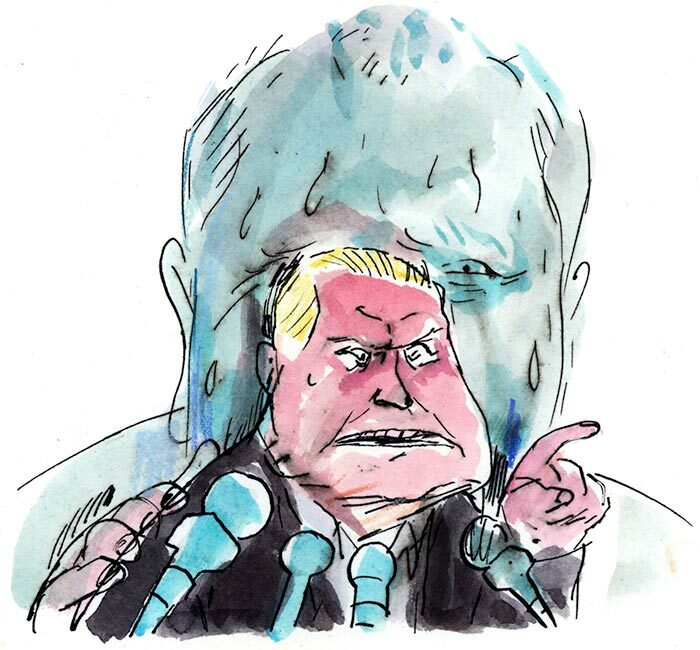 For his part, Ford routinely characterized the media in general, and the Star in particular, as persecutors. But if the Star and the two Ford brothers were ideological foes, their battle became a matter of truth and falsity. 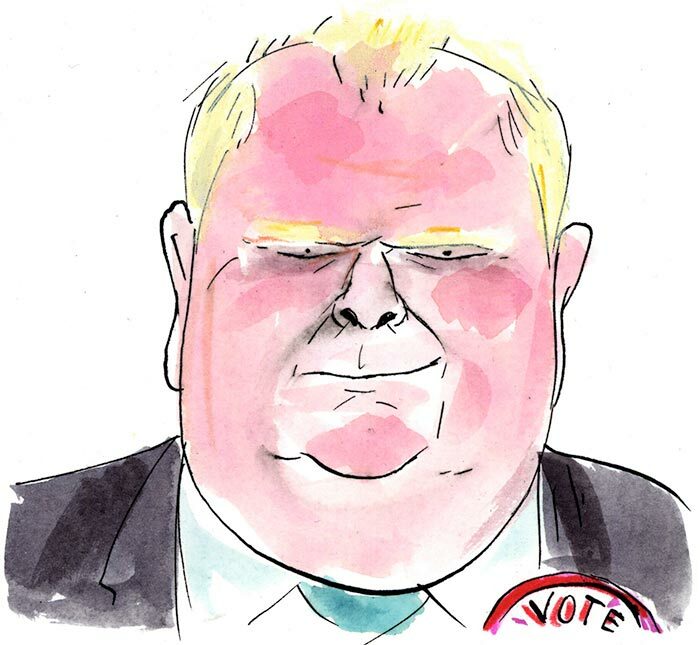 The Fords’ claims, about everything from budget figures to the mayor’s sobriety, were so at odds with reported facts that the public was being asked repeatedly to choose whose version of reality to accept. If the Star gave the Fords an enemy, the Fords gave the Star a mission. 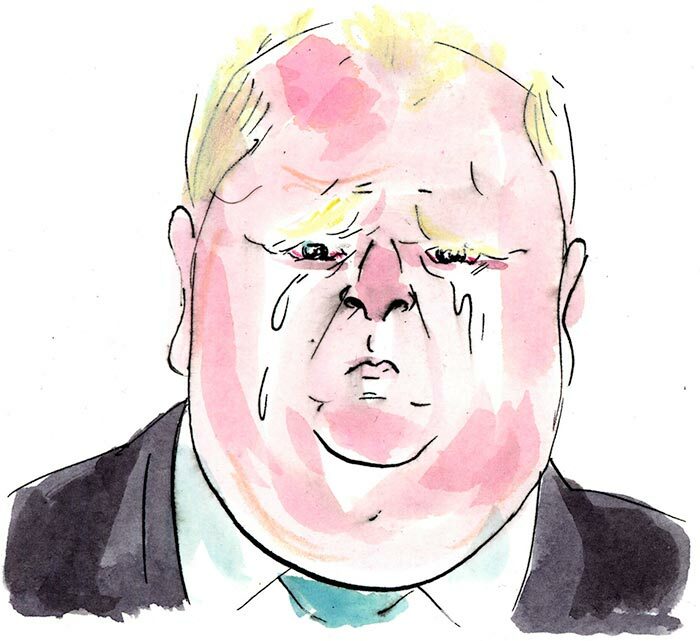 Reporters noticed a trail of digital bread crumbs soon after Rob Ford’s election in 2010: snapshots on social networks of a flustered mayor out on the town; oddly frequent reports of him stopping by liquor stores. Then, in March 2012, Robyn Doolittle was told about an incident in another league altogether. Allegedly, the mayor had gone to a St. Patrick’s Day party at a downtown club called the Bier Markt, where he and his entourage—which included young staffers and an enigmatic female companion—were shown to a curtained-off room. Word got out that before departing under uncertain but highly conspicuous circumstances, he had reportedly snorted something. Drinking to excess was one thing, but the spectre of hard drugs was another. If the story proved true, it would put the chief magistrate on the wrong side of the law. Doolittle spent the next few weeks chasing bartenders, bystanders, and aides, in an effort to pin it down. Eventually, she convinced a man who had witnessed the mayor’s behaviour that night to speak to her, but he only did so on the condition that she withhold his name, leaving the reporter and the Star feeling that they still lacked sufficient corroboration to proceed. 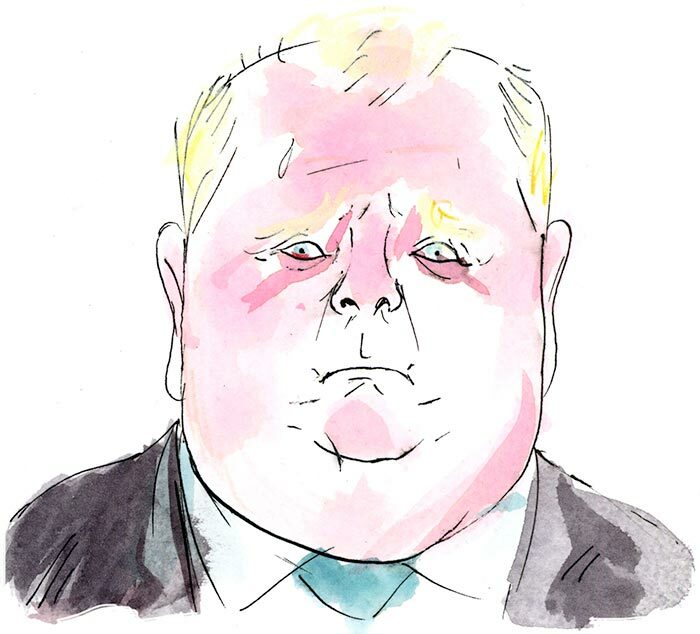 Doolittle was not the only journalist prying into Rob Ford’s past. A dozen blocks from the Star, the Globe and Mail’s Greg McArthur and Shannon Kari were deep into their own investigation. McArthur was more at home uncovering corporate corruption scandals than humdrum municipal politics, but Ford fascinated him. “I felt there hadn’t been a really in-depth takeout on how this guy came to be who he is,” he says. 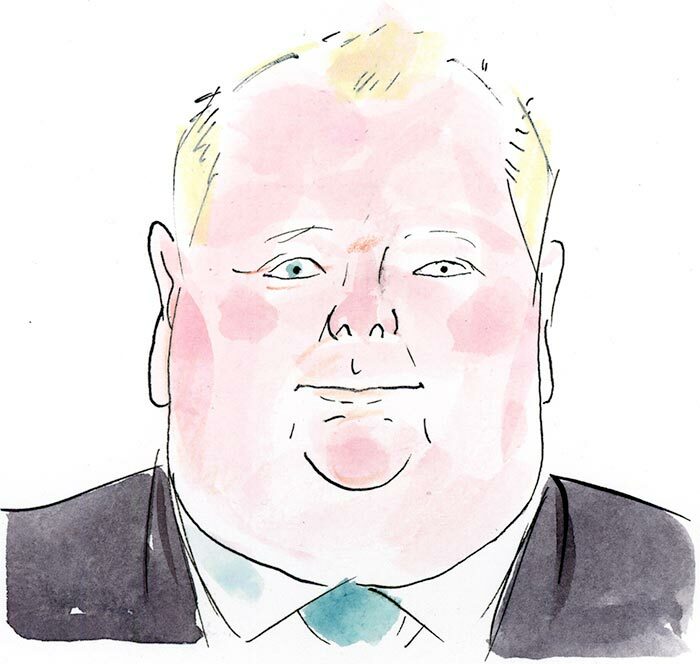 In the summer of 2011, he pitched his editor, Sinclair Stewart, on the story of Rob Ford as a young man. At about the same time, Kari, a freelance writer who had worked at CBC and the National Post, received a tip that Doug, Rob, and their brother, Randy, had once been involved in selling drugs. Kari took the story to the Globe because, he says, “when you’re going to write about the mayor of Toronto, you want the resources of a big media company behind you.” The Globe teamed him up with McArthur, and the two reporters set out on what would become a bizarre, almost anthropological foray into the affluent suburb of Etobicoke: Rob Ford country. The son of deceased businessman turned politician Douglas Bruce Ford, Toronto’s new mayor was the youngest of four siblings (Kathy, Randy, Doug Jr., and Rob), and with them heir to their father’s successful label printing business. The Fords were a powerful family in Etobicoke, and it was not hard to find people who had crossed their paths. 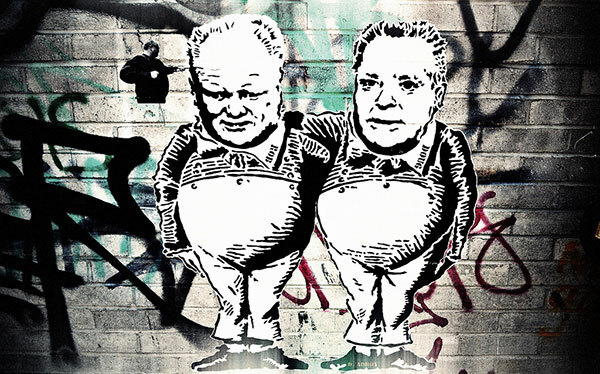 Their feuds with neighbouring politicians were legendary, as were the lengths to which Rob Ford would go to help his constituents. McArthur and Kari pored through the Fords’ high school yearbooks, making lists of people who might have known them. When contacted, however, most were wary and hostile. On several occasions, some agreed to be interviewed, only to do an about-face afterward. When McArthur asked to speak with a man who had grown up with Rob and played football with him at university, he said, “I’d love to, man, but I’ve got to check with Robbie.” By the time McArthur contacted him again, his response had changed to “No, no, I’m not doing that.” The pattern repeated itself, but the reporters were pursuing other leads, such as the friend who had spoken to Kari about the drug dealing in the first place. This led to a chain of people who knew other people who knew other people—until McArthur and Kari hit pay dirt. This man in turn led McArthur and Kari to someone with direct knowledge of the Fords during that era, a source they would come to call Number One—a man who would open doors for the investigation to come. Like many the pair spoke to, this man had a checkered history. Now he was seeing these figures from his past, Rob and Doug, elected to office and banging the law and order drum, their own pasts neatly forgotten. It didn’t sit right. He agreed to talk. Truth is the first and best defence against defamation claims. The problem is, a journalist must be able to prove the truth of what he or she said or wrote, which is often difficult and sometimes impossible. “You can’t be certain that the evidence you need to prove truth will be available at trial two years down the road,” says Daniel Henry, until recently CBC’s senior legal counsel. “Often, you have to say to a reporter, ‘You can’t publish that, even though you’ve done all the research you can and are reasonably confident it’s true, because if it got to trial you’d need the following evidence, which you don’t have.’” To prove the truth, a reporter might have to call on his sources as witnesses. But what if they can’t be called? What if they’re dead? Or what if the reporter has promised them anonymity? Investigative reporting relies heavily on sources who risk their livelihoods and personal safety by bringing information forward anonymously. Sometimes, an anonymous source is the only way to get a story, but a libel suit—and the necessity of proving the truth—puts reporters in a bind when they promise to keep their sources’ identities secret: how can you call someone as a witness without exposing him or her? As Bill Schiller’s suit worked its way through the courts, another case that illustrated the challenges of defending defamation suits was taking shape in Ottawa. In September 2001, in the aftermath of 9/11, an Ontario Provincial Police constable named Danno Cusson gained local acclaim when he took his dog to Ground Zero to help look for survivors. When he started asking other rescuers awkward questions, like how to get his dog into a harness, they realized that he was not a K-9 search and rescue officer, just a policeman with a pet dog who wanted to help. Douglas Quan, a journalist who had interned at the Ottawa Citizen and gone on to Columbia Journalism School in New York, happened to be in Manhattan when his former employer asked him to investigate. In his story, he reported a New York State Police officer saying that, far from helping, Cusson might actually have hindered 9/11 rescue efforts. An embarrassed Cusson sued. Rather than settle out of court, which is how the majority of defamation suits are resolved, the Citizen decided to make a stand. When the case came to trial in 2006, the jury was asked to pick through a list of statements in Quan’s story to determine whether they were true or fair comment—but proving opinions true is enormously difficult. The Citizen’s lawyers called expert witnesses. The court heard from Quan’s sources, who vouched for what he had written. In the end, he was found to have made no substantial errors, yet he was still obliged to prove the truth of what he wrote. Ultimately, the jury ruled in Cusson’s favour, to the tune of $125,000, but once again the media lawyers looking on saw not defeat but opportunity. When Mayor Ford was asked to leave the Garrison Ball, the Star already had evidence that his drinking was affecting his work. The challenge was to get a room full of people who had seen the incident to talk about it. “My first reaction was, how are we going to make this story stand up? ” says Cooke. Doolittle convinced Councillor Paul Ainslie (a straitlaced Scout leader from Scarborough, and up to that point one of Ford’s staunchest allies) to step forward. To find other witnesses, she made a list of people who had posted and been tagged in Facebook photos from the event—which is when Kevin Donovan entered the story. A journalist at the Star since 1985, Donovan, now fifty-one, has run the paper’s nine-person investigative unit for much of his career. He looked at Doolittle’s list, found five names he recognized, and started making calls. Three hours later, he had confirmed the story with people he and his editors trusted. The sources were unimpeachable but insisted on remaining unnamed. “For reasons I’ve never figured out,” says Donovan, “people are nervous about speaking out against Rob Ford.” It was the same with the mayor’s staff, and former staffers who had left his office for the private sector. They were telling Doolittle consistent stories: the mayor had a serious alcohol problem, but no one would say so on the record. Nevertheless, the sheer volume of evidence that had accumulated since the St. Patrick’s Day party was enough to persuade the Star to pull the trigger. The newspaper’s revelation that Ford had a drinking problem was a bombshell. As well as upending the city’s political establishment, it proved a truism about investigative reporting, namely that reporters who break news become magnets for sources who want them to break more. Following the Garrison Ball story, Donovan received three calls on his cellphone (he publishes his number online). They all came from Etobicoke. Much like McArthur and Kari’s sources, they were old acquaintances of the Fords who were listening to the brothers’ aggressive denials on radio and TV and wanted to set the record straight. They suggested that Donovan should make inquiries about Sandro Lisi, a man with a criminal record who they claimed was the mayor’s drug dealer. Around the same time, Doolittle was lounging in bed one holiday Monday when she got a call from a man named Mohamed Farah who would later tell her that he had a video of Rob Ford smoking crack. In the late ’70s, Brian Rogers* was a law student who spent his summers working at the Globe and Mail. He had planned to go into journalism, but just as he graduated Canadian jurisprudence got really interesting. To the surprise of many, Pierre Trudeau’s Charter of Rights and Freedoms became the law of the land, giving Canadian judges a mandate to make free expression a consideration in their rulings. “The Charter gave us a weapon,” says Rogers, who felt Canadian libel law was too restrictive. The question was how to use it. Rogers and his colleagues were already monitoring defamation cases in other common law countries, such as the US and Britain, looking for effective defences beyond truth and fair comment. A pair of landmark decisions in Britain’s House of Lords in 1999 and 2006 gave them what they needed. “Responsible journalism,” as the Lords called their new defence, posited that if a journalist has taken reasonable steps to verify that a story is true, and has given the subject an opportunity to respond, he or she cannot be found liable for defamation, even if the story contains untruths. Responsible journalism revolutionized British defamation law. ADIDEM’s task was to persuade Canadian judges to follow suit, but how do you persuade a judge to rewrite the law at your behest? “You start,” says Rogers, “by using defences that are not yet part of the common law of Canada but that you think should be.” First, however, the group had to make sure Canadian journalists were writing stories that hewed to the spirit of responsible journalism, so they began preaching the gospel in their daily interactions with clients and in seminars at journalism schools. At the Ryerson School of Journalism in Toronto, Rogers and the Star’s Bert Bruser, considered the dean of Canadian media law, recruited reporters like Doolittle to the cause. Because so few libel cases ever go to trial, opportunities to argue for the responsible journalism defence in court were rare. In 2006, a perfect case emerged in the person of Douglas Quan, the journalist who had written the story about Danno Cusson. When Quan’s case went to the Court of Appeal for Ontario, ADIDEM intervened to join the Ottawa Citizen ’s plea for the responsible journalism defence. In a landmark decision, the court agreed that Canada should adopt the British model. Now it only remained for the Supreme Court to make this the law of the land. As it happened, two libel cases came before the country’s highest court in its 2009 session: Quan’s and Schiller’s. In both instances, the journalists had done diligent reporting and note taking, consulted with the subjects they were writing about, and done everything they could to get their stories right—only to discover that the burden of proving truth in court years later was too onerous. While Quan’s case introduced the responsible journalism defence in Canada, the court decided to use Schiller’s to settle the matter. (Schiller by now was watching from a desk in Beijing, where he was running the Star’s China bureau.) The court’s ruling in Grant v. Torstar Corp. established the defence of responsible communication: if a story is about a matter of public interest—that is, on a topic of legitimate public concern—and a journalist can prove that he or she did what was reasonable under the circumstances to uncover the truth, that constitutes a defence against libel. No longer would journalists have to prove the truth of what they said or wrote; they would only need to establish that the story involved the public interest and that they had done their jobs responsibly. Before he became one of the three journalists to view the video, Kevin Donovan had his doubts that it even existed. 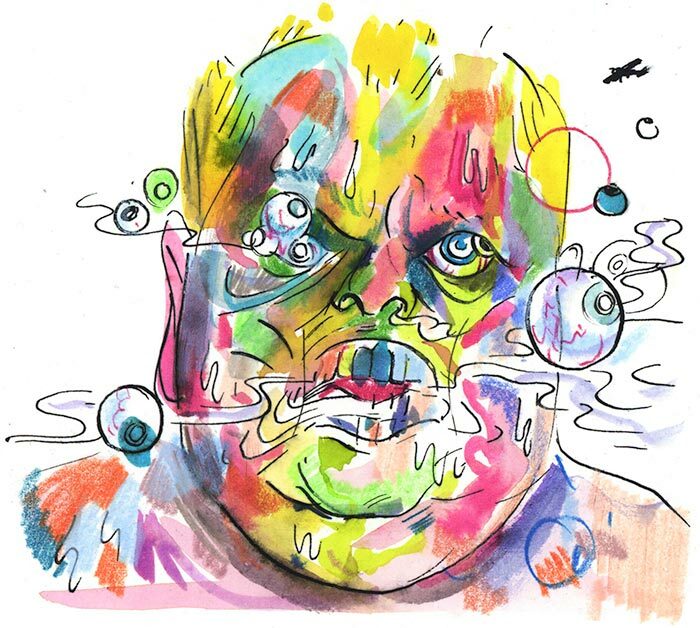 “It’s not that I didn’t believe Rob Ford was doing drugs with people,” he says. “I just didn’t believe there would be a decent video of him doing it.” After Doolittle got the call about the tape’s existence, the Star’s priorities were twofold: it needed to ascertain the credibility of both the video and the people who were offering it for sale. “There was a lot of basic reporting to be done,” says Cooke. “But the main thing—which we didn’t do—was secure the video.” The money was an issue. It’s not uncommon for the media to pay for spectacular footage of, say, a train wreck, but Mohamed Farah wanted a lot of money, five to six figures, and the Star was uncomfortable with giving it to anyone who might have criminal connections. Since Farah called himself a community advocate, the newspaper proposed a donation to a local project, to no avail. The video dealers wanted cash. Meanwhile, Doolittle and Jesse McLean, at twenty-five Donovan’s youngest investigative reporter, were spending time with Farah in the Dixon Road neighbourhood, trying to get a better sense of who and what he was. When negotiations stalled, they decided the only way forward was to hint that the kind of cash he wanted was a possibility. 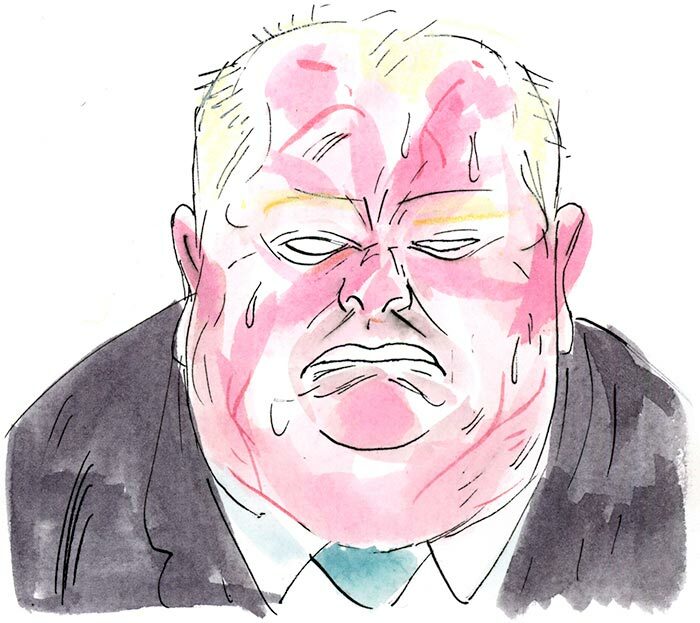 Only then did he agree to show them the video, which was how on May 3 Donovan ended up in the back of Farah’s car, in a parkade near the infamous Dixon Road apartments, carefully wrestling with a drug dealer to view a video of Rob Ford smoking crack. Farah had picked up Donovan and Doolittle in a parking lot, where they had driven in a company car. Another member of the team, Dale Brazao, waited nearby in a van taking pictures with a telephoto lens; Donovan had instructed him not to tail them, fearing Farah might spot him. Doolittle sat in the front passenger seat, with Donovan directly behind her. Moments after they set off, Farah stopped the car, and Mohamed Siad, the man who was trying to sell the video, got into the back seat next to Donovan. Perhaps understandably, Siad was protective of the phone, clutching it with both hands, so Donovan could hardly see the screen. He grasped the phone and, as gently as he could, twisted it around so he and Doolittle, craning from the front, finally got a look. What they saw was unmistakable. After all of that, the Star didn’t break the story. It still couldn’t come to terms with Farah, who was antsy and began reaching out to other news outlets. Among them was Gawker, the prominent American website that specializes in politics and gossip. Its editor-in-chief, John Cook, flew to Toronto, where he also met with Farah and Siad, and became the third reporter to view the video. Gawker was also unwilling to pony up the kind of cash Farah wanted, but Cook decided he would do what the Star was loath to: publish the story without the smoking gun in hand. On the morning of May 16, rumours reached the Star that something was up with the video; other news organizations were sniffing around it. Even so, nobody saw what was coming. That night, Cooke and Doolittle were at a book launch at a downtown Chinese restaurant when a local magazine columnist came running into the building yelling, “The mayor does crack!” at passersby on the stairs. Spotting Doolittle, he pushed his phone toward her and asked, “Have you seen this? ” Gawker had posted Cook’s story about viewing the video, along with a still photo Farah had provided of the mayor with his arms draped around three suspected gang members—one of whom, Anthony Smith, was now dead. Doolittle swore loudly, dove under a table to retrieve her phone and purse, and ran out the door after Cooke, who would later say it took him six seconds to decide that the Star had to run with the story it had, video or no. From a newsmaking perspective, Gawker had forced the newspaper’s hand. It was not that Gawker’s piece provided legal cover; it was that the responsible communication defence meant the Star was no longer obliged to prove that everything it printed was true. More importantly, another person had seen the video and believed it. Back at the Star, Donovan and Doolittle—who had yet to write their story—rushed to meet the deadline that the Gawker revelation had just imposed. Meanwhile, other reporters busied themselves with trying to contact the Fords for comment. Making sure the mayor knew exactly what was going to be published, and that he had a chance to respond, was a tenet of responsible communication—but time was tight. Ford’s latest chief of staff, Mark Towhey, hung up on one reporter. Others drove to Etobicoke to leave notes at both Rob and Doug Ford’s homes. Finally, Donovan and Doolittle reached Ford’s lawyer, Dennis Morris, on the phone. It was as close to the Fords as they would get, but it was enough. The one missing piece was the photo Gawker had published. The Star didn’t have it. Doolittle called Farah and said, “I need the photo now.” He sent it over by text message. The next morning, it was on every newsstand in the city. The crack cocaine story echoed around the world. A week later, Rob Ford issued his famous non-denial, telling reporters he couldn’t comment on a video “I have never seen or does not exist.” Many of his supporters chose to believe him. After all, no one had produced the actual video—but another shoe, the Globe and Mail’s lengthy investigation into the Fords’ background, was about to drop. Just as Gawker had forced the Star’s hand, the Star now forced the Globe’s. The story might have run anyway, but Gawker and the Star had put it squarely in the public eye, and publishing it was clearly in the public interest. “The night the Gawker story came out and the Star ran their stuff, I was doing backflips,” says Greg McArthur. His and Kari’s interviews revealed a family history at odds with the Fords’ image as clean-cut business owners. As young men, the elder Ford brothers, Doug and Randy, were involved in a substantial drug selling operation, and not just at street level. The Globe’s investigation appeared to put them one or two tiers above, where threats and violence can be part of doing business. “I thought, if we don’t tell that story, then we allow them to be myth creators,” says McArthur. “It’s not how they’re remembered. It’s not their reputation. And it’s not true.” Once again, there was no smoking gun, and Doug Ford declined to co-operate. McArthur and Kari sent him an itemized list of everything their article would allege; Doug responded with a letter from his lawyer. The Globe had no proof, but it had evidence that its reporters had done everything they could to get the truth. Five years ago, the story the newspaper published on May 25 might not have run as it did. And despite the Fords’ usual furious denials, there was no legal action. * Brian Rogers advises The Walrus on libel law.